So there's this nice lady, see? And she keeps taking in litters of kittens because she's good-hearted, see? And now she has 12 cats in her house, see? And 6 of them are male and 6 of them are female, see? And 3 of the females are in heat, see? 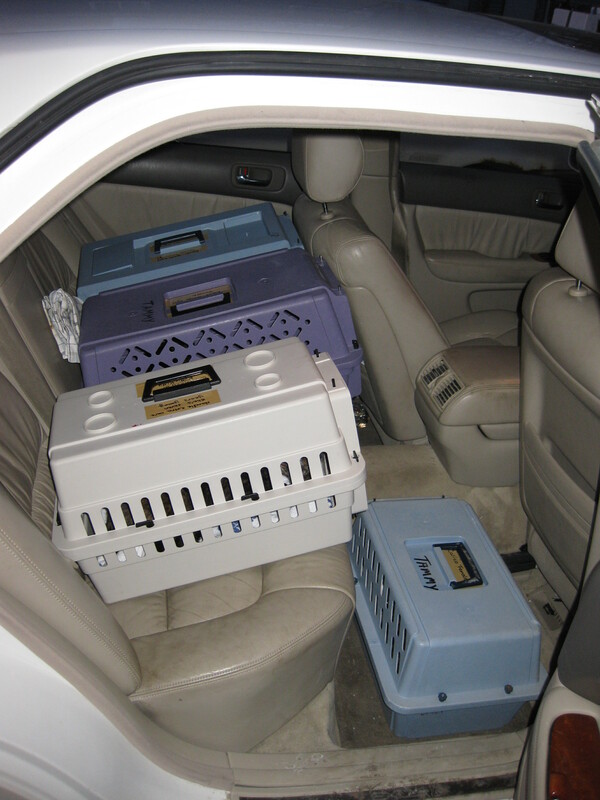 Fortunately, this lady realized what she is getting herself into, perhaps a potential hoarding situation spinning out of control, so she contacted Feral Fixers for help. 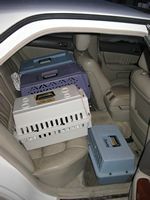 I picked up the 6 friendly-feral females today and they will be taken to PAWS-Chicago tomorrow (along with some outdoor ferals) to get them all spayed/neutered. On our next go-around, we'll take in the 6 males and then we'll have this group taken care of.